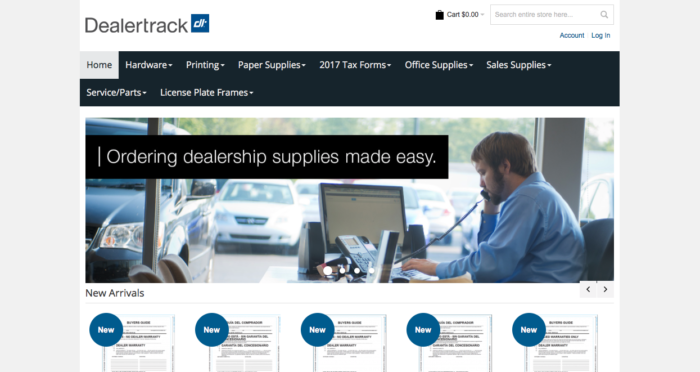 Dealer Track is the largest player in the automotive sales and support industry with software solutions used by just about all of the large dealers and chains nationally. Dealer Track wanted to streamline their ability to provide services for their client base by offering online and automated supply ordering. Working with NuEthic we were able to produce a killer store front with a lot of custom functionality within a tight timeline.